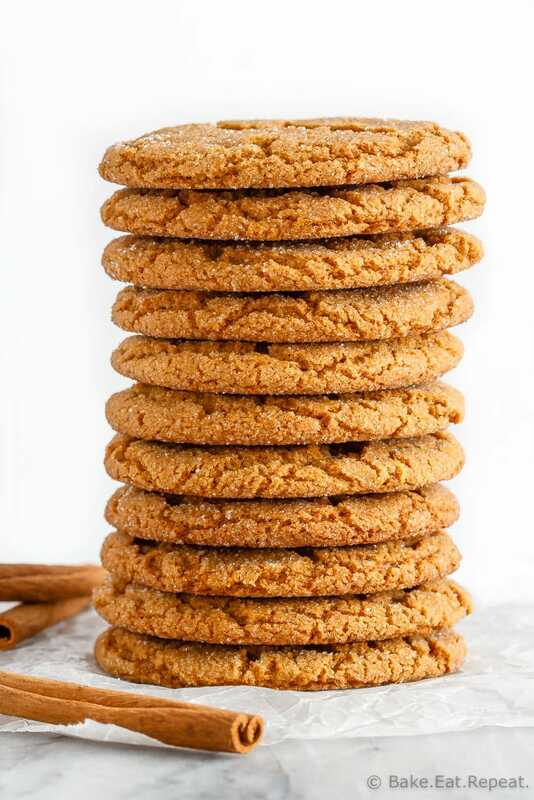 These soft and chewy ginger cookies are one of our favourite Christmas cookies. So fast and easy to make and everyone loves them! Christmas baking season might just be my favourite time of the year. Basically it gives me an excuse to make all of the cookies, all of the time. There’s never enough time to make all of the cookies and treats that we want to make. That’s probably a good thing since making all of the treats is generally followed by eating all of the treats. But I still wish the holiday baking season was longer because it’s just such fun. The kids love to join me in the kitchen making the various Christmas cookie favourites, and these soft and chewy ginger cookies is definitely one of those. This isn’t a cookie I grew up having every year. We would always make a gingerbread house (speaking of which I need to get my mom’s recipe for that so that I can make one with my kids one of these years!) 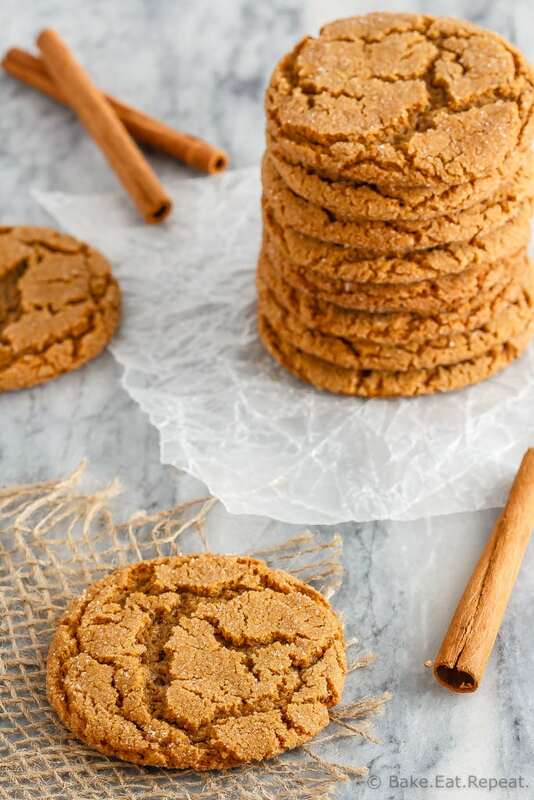 but we never made these chewy molasses ginger cookies. My mother-in-law always makes them though and I agree wholeheartedly with my husband that they need to appear every year when we decided which Christmas cookies to make! So easy and so tasty, these cookies can be ready to eat in less than 30 minutes. They can also be frozen for up to 3 months if you’re like me and are ready to start the holiday baking as soon as the weather gets a bit chilly (which is pretty early where I live!). If you’ve never made these classic molasses cookies, you need to try these. 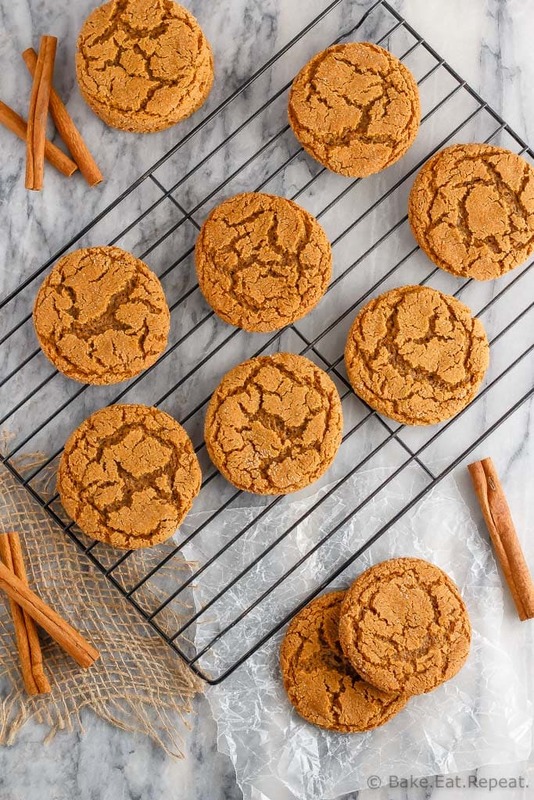 Soft and chewy and so easy to make – ginger cookies need to be part of your holiday baking plans this year! 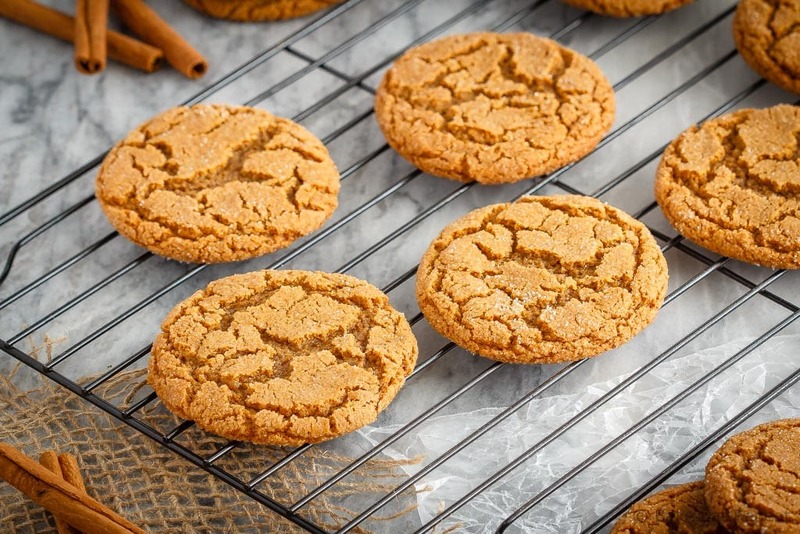 I’ve also shared this Soft and Chewy Ginger Cookies recipe over on Food Fanatic. Have you tried freezing the dough? I haven't tried. I freeze the baked cookies all the time, but haven't tried freezing the dough yet. I don't see why you wouldn't be able to though! Oooh! Can't wait to try these. Yummy! Have a very Merry Christmas! Hope you like them! Merry Christmas to you too!